Are you looking into shipping your car and wondering the best way to go about it? It’s good that you’re doing your research before signing on with the first auto transport company you come across. There are some important things you should know before choosing a company that will be responsible for transporting your car from Point A to Point B. The risk of sending a large sum of money — or worse, handing over your car — to a company with bad intentions is too great. Instead, take some time to learn about what a good auto transport company should look like and how you can choose. If you need tips for choosing the right auto transport company for you, read on. Auto transport, also known as Auto Shipping, is simply a way to move your car from one place to another without having to drive it yourself. For example, let’s say you live in New York but get offered a job in San Francisco. Your new boss wants you to start next week. If you were going to drive there, you’d have to get on the road today! But if you opt to get your car transported there by a third party, you don’t have to worry about the timing or whether your car can make the trip. The auto transport company will handle all of the details for you. The next thing you know, your car will show up on your doorstep, ready for you to drive — and without having added a ton more miles to the odometer. The number one best piece of advice when looking into auto transport services is to do your research. Look into what exactly the best transport services do and how they do it. What are their routes? How much does it cost? What are the reviews saying about them? How long does it take? Have there been any mishaps? Knowing the answers to all of these questions will help you feel confident in the car transportation service you choose. You want to make sure the company you work with is trustworthy and reliable. In order to have the best experience possible, you’ll need to devote enough time to do due diligence on your options. From what you see online and in the press about them, do they seem legitimate and credible? If their web site’s chock full of errors or simply doesn’t make sense, the chances of them being a fraudulent company are much higher. At the end of the day, go with your gut. If something feels off or just not right, you’re probably on to something. This is another big one in the auto transportation field. Legitimate companies will have legitimate payment methods. You should be able to talk to a real person who can helpfully and honestly explain the money paying process. Do not do it all through an online portal without at least talking to someone from the company first. If a company is asking for you to send a payment through a wire transfer, that’s a major red flag. You don’t want to work with a company that doesn’t take the normally accepted payment methods like a check or a credit card. If the company asks you to send a payment via wire transfer or a service like Western Union, avoid them at all costs. They likely do not plan to uphold their end of the bargain. They’re unsavory characters who just want to steal your money and run. Before committing to a deal or signing anything, inquire as to how the company expects to be paid. If they want to be paid in full before they’ll take the conversation any further, start looking around for another option. And if they want you to send over your money through an unreliable and untraceable cash transfer system that offers no protection to you as the consumer, it’s not worth it. Don’t risk your hard earned money simply because a transport company seems like the cheapest or most convenient option. Did you know that auto transport companies are regulated by the United States Department of Transportation’s Federal Motor Carrier Safety Administration (FMCSA)? It’s true! These car transportation companies are not allowed to operate without a valid Motor Carrier Number (MC Number). Don’t move forward working with any company that does not provide you with this information and proof of qualification. A credible company will be happy to provide their potential customers with this number. A fraudulent company, on the other hand, will either avoid giving out this number or even try to pass off a fake or expired number. Before making any moves, check their number. You can do this through the Better Business Bureau. You can also use the FMCSA’s Safety and Fitness Electronic Records website to check. If they don’t have one or if the number is a fake, there’s a good chance they’re not legally authorized to be running their business. That’s definitely not a company you want to hand your car — or your money — over to. Inquiring into the credentials (or lack thereof) a company has is not nosy. It’s being smart. If something doesn’t seem right, don’t take your chances. Want to Learn More about Car Transportation Services? Do you have car questions? Then ask the experts! We have a full inventory of auto repair manuals and motorcycle repair manuals, and you can even purchase car repair tools directly from our website. We are a fully loaded site offering all the car related information you could ever possibly need. 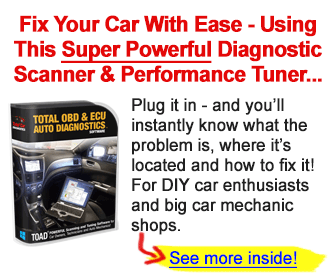 We offer all kinds of insight and tips when it comes to cars and everything automotive. From car detailing tips to recommendations on what you should do immediately following a car accident, we cover it all. Browse our automotive blog to learn more, and feel free to let us know if you have any questions or need assistance with your car.